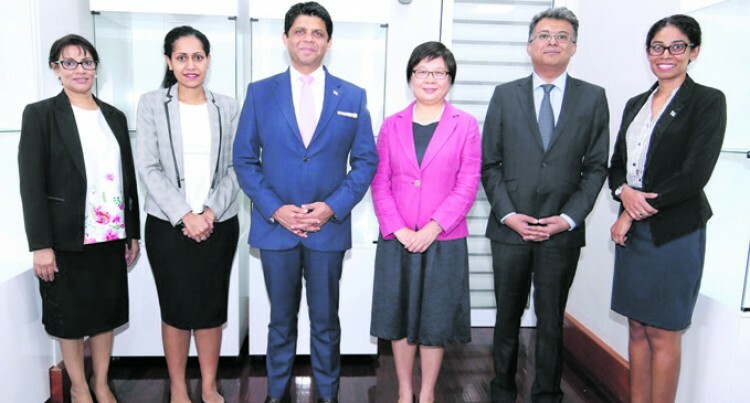 Acting Prime Minister and Attorney-General Aiyaz Sayed-Khaiyum, received a courtesy visit from the Director of Copyright Development Divi­sion of World Intellectual Prop­erty Organisation (WIPO), Hang Gao, on Thursday. During the discussions held, the Director informed the Acting Prime Minister that WIPO is keen on enhancing collaboration with the Fijian Government in intel­lectual property, particularly cop­yright and related rights to better enable innovation and creativity. WIPO is a United Nations agency that provides technical assistance and capacity building programs for developing countries in the field of intellectual property rights. The Organisation aims to assist member countries to use their in­tellectual property systems to ex­tract greater economic value from their cultural and creative works. The Acting PM who is the min­ister responsible for intellectual property expressed Fiji’s readi­ness to assist with WIPO related regional meetings in advancing the protection of intellectual property rights in the Pacific.